This post is the last of six in a series with ideas and resources on how to make computing lessons engaging and demanding for as many students as possible. Click here for the original post. I know. If I read this, I’d be questioning the sanity of the author too. How can computing possibly be described as compassionate? More importantly, why should Computing ever be compassionate? If we define compassion as a warm fuzzy feeling that we experience when we see cute-looking-cats or an uncomfortable guilt we try to ignore when we see bad news on TV then we’ve missed the point. Some of my students have volunteered with a fabulous charity whose founder – who established the charity on seeing a room full of children with learning difficulties left to rot in the dark, in their own filth – defines compassion not just as sympathy or empathy, but as empathy with action. When we see the broken world around us, the big question is not “How do we feel about that” but also “What are we going to do about that”. Whatever you may think about Microsoft, it’s hard not to be moved by the aims (and achievements) of the Bill and Melinda Gates Foundation, set up by Microsoft’s founder to ‘invest’ his wealth helping to alleviate some of the world’s biggest problems. Whether you think Mark Zuckerburg and other billionare tech philanthropists give away money for tax reasons, for their own benefit or because they’re genuinely ‘good’ people is irrelevant. The fact is that they are able to give. Their skills have enabled them to be successful. Their success has enabled them to accumulate fabulous wealth. Their wealth has enabled them to setup, support or save charities around the world to make a difference on their behalf. Students are often idealists. They want to change the world around them but feel powerless to make a difference. It can be both liberating and hugely empowering for them to realise that the skills they learn in computing can be put to good use now and in the future, not just to make money but also to support the causes they are passionate about. Invite a representative from a local charity to come and speak to your students about how they use technology and social media to raise funds and raise awareness. Contrast this with the dangers of using social media as part of a lesson on eSafety. Create a display full of ideas of how students can use the skills from each project / topic / unit of work to make a positive difference to the world around them. Students can help with ideas. e.g. “Today is our last lesson on game design. As homework I want you to choose between: A) find a game that promotes or advertises a charity or B) Think of an idea for a game that could promote a charity. e.g. The UNHCR is the United Nations charity in charge of refugees. They could have a game where you have to rescue refugees and catch people traffickers. This activity teaches students how to use 2D lists / arrays in python. Use the above code to plot a map of obesity in different countries. Use the link in the code to find out and add the obesity stats for more countries. Discuss with the class how technology might be to blame for obesity in some countries and how technology can be part of the solution. This paper is an excellent literature review which highlights the role of compassion in the context of making computing lessons more inclusive and particularly focuses on real life problem solving activities for example discussing the media representation of computing issues or engaging in projects related to culturally relevant problems or issues. Shelton, C., 2017, July. 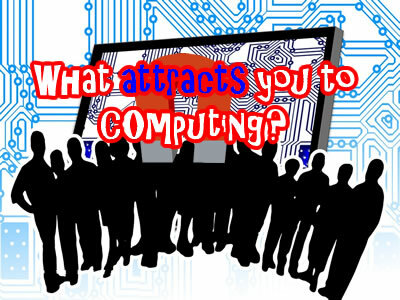 How can we make computing lessons more inclusive?. This blog summarises the impact of Apps for Good in improving teacher and student understanding, confidence & engagement by focusing on compassionate computing projects. One of the key missions for Apps for Good is to encourage more girls to take an interest in technology and consider a tech career in the future. The annual survey also reported an increase in the percentage of girls more interested in working in a technical job. Girls reported that one of the reasons the course interests them is because it helps them hone a variety of skills important to working in the tech industry.